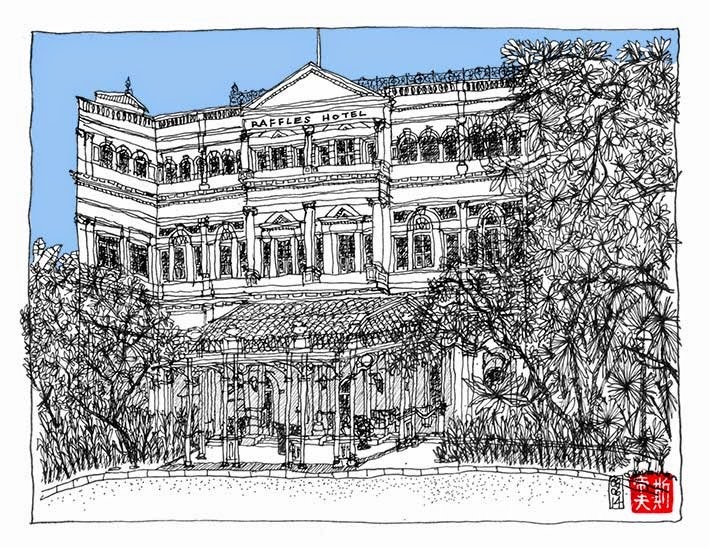 I started this Raffles Hotel sketch in glorious sunshine on Saturday afternoon, although rain stopped play after a couple of hours. I returned today to finish the drawing which took another hour-and-a-half. Not exactly the idea of speed behind urban sketching, but I am working on that.....really. Update: I knew Mrs M would tell me off for adding the blue. i like the addition of the colour. You looking forward to the World Cup?